A lesser known wisdom tip says that if you want to know the real character of a man, then see how he treats those who cannot do anything for him. This is really true, for everyone treats those with whom he has a certain relationship of proximity or benefit. But to treat stark strangers, who may not be of any “use” to you, is when the true character of a person is reflected. Our very own character is reflected in such situations. Are we generous and polite with others? It shows what we are really made up of. When we treat such people who may not have any significant value in our life, we express ourselves. It is not about them, it is about us. What kind of person we are becomes evident by the way we treat others. 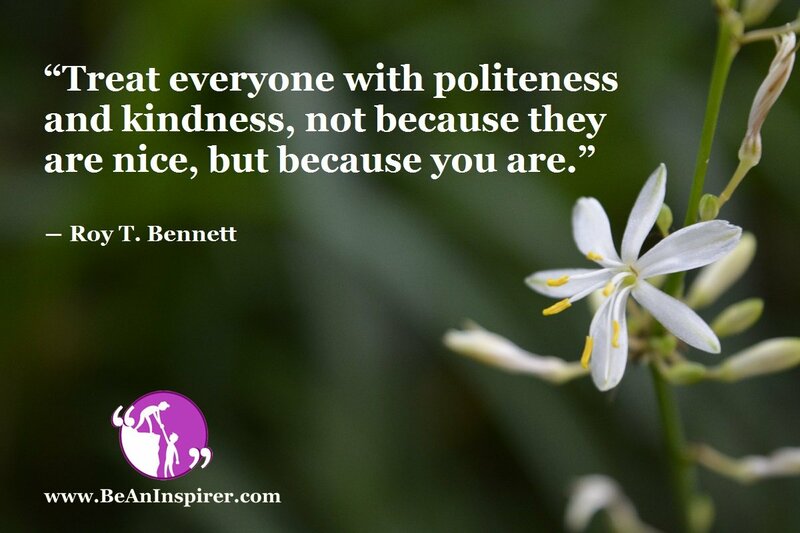 Sometimes we not even realize how treating others with politeness and kindness help spread this further. The person who receives it from you will often pass it on to others. This chain reaction helps make the world a better place for everyone. It may often help you in a way you may have never imagined. Read on this story, to know how a simple act of politeness can even save that person’s life. It is an awesomely inspiring story that puts in a nutshell, the importance and significance of treating everyone with politeness and kindness. Being polite and kind doesn’t cost anything, but can even save one’s life some day.